FYI: Bob had some audio issues on his end. We were able to cut most of them out in the audio download but some had to stay in. 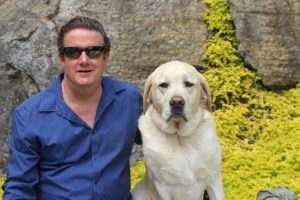 Bob Mayer is a NY Times Bestselling author, graduate of West Point, former Green Beret and the feeder of two Yellow Labs, most famously Cool Gus. 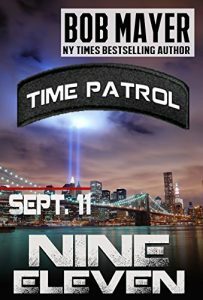 He’s had over 70 books published including the #1 series Time Patrol, Area 51, Atlantis and The Green Berets. Born in the Bronx, having traveled the world (usually not tourist spots), he now lives peacefully with his wife, and said labs, at an undisclosed location. It’s not surprising then that your books have a military theme to them, how would you classify each series? Do you find the readers of your historical fiction will read your military sci fi or are they more genre specific? What market research do you do before starting in a new genre? What are your tips for finding those readers? How do you keep your metadata fresh for over 70 books? What is it that your readers in particular like? When you’re teaching writers how do you tell people how to do that? What would your advice be if a writer wants to collaborate with someone who writes a different genre? You said you learned a lot about writing with Jennifer, did that mean you started writing more romantic elements in your future books? Have any of your books been optioned or do you want to go that way? How have you built your mailing list and what kind of advice do you give authors of Cool Gus? 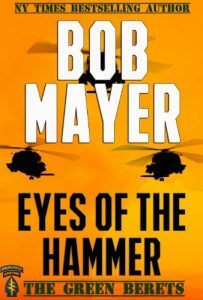 What do readers of military fiction expect in a book from you? How much time do you spend researching? Wayne Stinnett asks: As a conservative military type, how do you get into the mindset of the antagonist? Do you come at a story from the characters or the plot first? Going forward what do you think indie authors should be doing? What are you going to do next or do you want to keep it hush hush? More seriously, I found the Myers-Briggs stuff very interesting. Speaking as an INFJ, I find doing outreach to readers very difficult. Great show. Look forward to Chris next week. As a conservative military type, how do you get into the mindset oft he antagonist? It's all about camera angles. 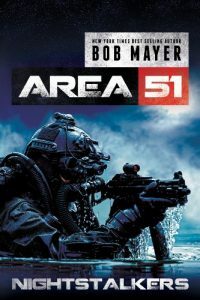 Marine shows up, the Green Beret disappears? Does anyone have any questions you'd like us to ask Bob?